I used to silently mock people who travelled with a neck pillow until I tried one myself. They make a huge difference in when it comes to flying long-haul in economy. 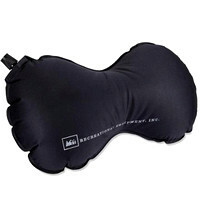 The REI Self-Inflating Travel Pillow packs away easier than the traditional stuffed pillows. 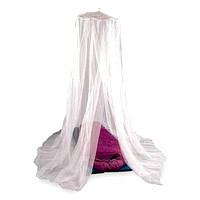 The pyramid-shaped Mombasa Nimbus mosquito net protects sleepers with an easy 1-point suspension system. Fits standard bed sizes to protect 2 people and small suspension kit is included. 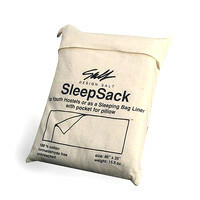 This rectangular sleeping bag liner is great for keeping your bag clean. Lightweight, unbleached 100% cotton provides breathable comfort. Features a pillow pocket, and a stuff sack. 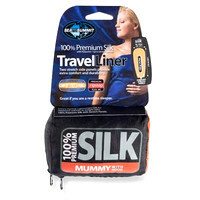 This Sea To Summit Silk Stretch Mummy Liner is soft and comfortable, and great for virtually any kind of travel, with or without your sleeping bag. Fine ripstop silk is cool and soft next to skin; polyester/spandex stretch panels allow the liner to move with you when you turn, roll or curl up at night. Machine washable and colorfast.